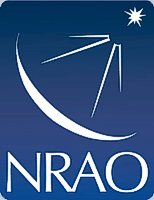 Acronym for National Radio Astronomy Observatory . The NRAO is a research division of the United States National Science Foundation that conceives, designs, builds, operates and maintains radio telescope facilities for use by the scientific community. Founded in 1956, the NRAO provides state-of-the-art radio telescope facilities that are open to all astronomers regardless of institutional or national affiliation. Astronomical observations at radio wavelengths assist scientists in gathering data about our universe that is not possible using optical telescopes and also play a key part in SETI projects.